3D Printing or Additive Manufacturing is not a new phenomenon, in fact it’s been around for many years with early equipment and materials first developed back in the early 1980s. What has changed however, is its accessibility and endless application uses that is continuously intensifying and growing to introduce new sectors and markets. Another key differentiator, especially in the Medical Device sector, it the level of growing expertise of the 3D Print Machine Operators and Design Engineers. This is where companies are quickly identified as Medical Device Prototyping specialists. Such companies nowadays are investing heavily in this area from both an expertise and capital machinery perspective. So what are the true benefits of 3D Printing when it comes to Medical Device Component Prototyping? Another major benefit is the ability to develop a prototype in multiple materials. Using the Connex 350 provides the ability to print multiple materials ranging from rubber like to a hard plastic as well as printing product containing a mix of these materials. This again speeds up the prototype phase and delivers greater cost savings for medical device manufactures. More important than the technology is the expertise behind the machine. Any company can have a 3D printer and upload the file to be printed. But if you don’t have an experienced resource in control of the 3D Print machine you cannot achieve either the machines or the products full capabilities. 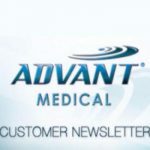 At Advant Medical, we are seeing an extensive range of requests from customers requiring prototypes from implantable product, catheter delivery system components and speciality jigs and fixtures. The biggest advantage to this group of customers is the ability to prototype multi-material, multi-functional working prototype delivered in a far shorter lead time than ever before. 3D printing has allowed for fast access and quick turnarounds in a cost effective manner. For many medical device companies much on the initial investment happens at the product development stage. Traditionally the path from concept to finished product involved several rounds of design reviews of 3D models and prototype parts. Now customers can have prototype parts representative of the end product at the very early stages of the development cycle. This promotes speed to market while reducing the time and cost at the design phase. This also has cost saving benefits for medical device manufactures. Every 3D printing technology has its own product cleaning requirements post print, for less challenging geometric parts the cleaning process can be relatively straight forward. However for more complex designs the cleaning process is more challenging. While this process is a separate stage there is a requirement for it to faster and more efficient. Here at Advant we are continuously investing in our 3D technologies and expertise. We believe 3D Printing has a very interesting future ahead and we are looking forward to all of the new developments on the horizon. It is likely that injection moulding will see an impact from the advancement of 3D technologies. 3D printing will advance to produce final medical device products. Using bio-compatible and drug-contact materials, medical devices can be produced that are individually tailored for a particular individuals exact needs. Future 3D printing applications for the medical device industry will certainly emerge with the development of additional materials for diagnostic and therapeutic applications, again opening up this thriving industry to a whole host of additional and potentially lifesaving functions. The future of 3D Printing is certainly an exciting one with the potential of endless medical applications and functions. For more information on Advant Medicals 3D Printing and Prototyping services call us on +353 (0) 91 770777.